Is BiM threatening the traditional Construction operations? The architecture profession in currently facing at least three important transformations: the integrated practice, the re-emergence of sustainable design, and building information modeling. BIM is a digital paradigm shift, in many ways similar to that of the CAD revolution of the 1980s. What is BIM? How is it different from CAD? And how, taking advantages of these differences is it possible to use a digital model to assist in the design of sustainable buildings? Building information modelling (BIM) is the process of generating and managing building data during its life cycle. BIM involves representing a design as objects – vague and undefined, generic or product-specific, solid shapes or void-space oriented (like the shape of a room), that carry their geometry, relations and attributes. Building Information modelling in more simpler discription is the process of generating and further managing all the building data during the life cycle of the building itself (both in building and construction). The process utilizes a variety of 3 dimensional building software’s to digitally represent the building process. Autodesk defines Building Information Modeling (BIM) as “the creation and use of coordinated, consistent, computable information about a building project in design and construction.” Autodesk has developed Revit Architecture for architects and Civil 3D which can be used in concurrence by both architects and civil engineers respectively. BIM has hence enhanced the process of work compatibility in the building design and construction effectively. Autodesk Building Information Modeling (BIM) software enables architects and designers to create and communicate design intent and understand performance, appearance, and cost early in the building design process thus making sharing of information easier and efficiently. Architecture has its history in geniuses in the art of design and art which was the preserve of great minds. Architecture, as taught in traditional European, American and later African institutions produced pride and contentment, not in how well the businesses run projects, but how aesthetical and functional the end product served the end users. The Architect prided in making his imagination in design transformed in usable and aesthetically pleasing to not only the end user but the environment as a whole. The Architect was the “boss” on site as he determined the quality of the end product, closely supported by the ever so supportive structural engineers! Architects and planners work at two different scales and use two different sets of software. Architects use computer aided drafting (CAD) and Planners use geographic information systems (GIS). Architects are often drafting a single building on a site and planners are analyzing a block, neighborhood, city or region. It is not that often that a planner works at the level of a single building and it is just as rare to find an architect drafting a city. What if we could combine the work of architects and planners in GIS? The other engineers like mechanical, heating, electrical, glazing, etc came on board the “design team” to facilitate completion of the “Architect’s interpretation” of the client’s design brief. The collaboration that took place was totally interdependent in nature and all the different players got their satisfaction on the successful completion of the project. A lot of goodwill existed naturally as each player relied on the other players to fulfil their part within the design profile. There were regular consultation meetings held with the Architect “chairing” these meetings! Without question, the Architect was the leader and brought great pride to the profession when the brief was responded to successfully by completing the construction to the client’s satisfaction. In the design sector, however, and in architecture in particular, the use of BIM as a design tool is often cause for some debate. The conversation centres on creative intent and the possibility of this being lost in the technological transfer. This concern has been discussed at many different levels of implementation of the use of software in the construction process. With the very tactile nature of traditional architectural planning, from sketching to molding and other such practices , many have questioned whether BIM actually suppresses these creative developmental processes. Some argue the opposite point: that those who fail to adopt these technologies are failing to help the industry move forward. With the emergence of BIM, these regular in-person-meetings with the other professionals on a project have been reduced drastically. 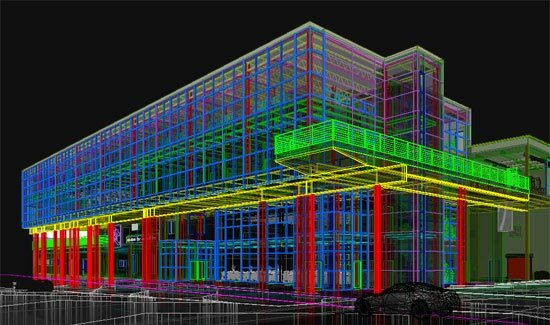 Just as the development of any new technology brings along its negatives, BIM has indeed brought about the loss of direct goodwill as was previously enjoyed because everything is now on our finger tips on the small computer screen. There are very few chances of goodwill to be expressed as BIM now solves most information headaches that the construction process once presented due to its fragmentation. BIM architectural design visualisation is no longer just about making a pretty marketing picture. Visualisation has evolved to form clear design benefits for all stakeholders in the design process and is more concerned with speeding up the approval process. The “personal touch” is now taken away by software and before long, when BIM will be completely understood and implemented correctly on projects, the pleasure of expressing goodwill which is the joy of a design team will be eliminated completely. Nostalgia feels Architect’s minds when one remembers the pride of sitting in a site meeting listening to all the other professionals falling over themselves to prove that they are useful to the success of the project! BIM is here to stay, projects are getting completed and new ways of working are being defined. If you are young and impressionable and still in architectural education, you really need to learn that architecture is a business. We are suggesting that you fully embrace BIM in order to realise the best and the highest you can offer within the time and budgetary constraints. More to the point: If you are not using BIM, you are doing a severe disservice to your client, your community, your profession, and your future. Today, BIM is becoming extremely popular in the design, engineering and construction industry. Firms all across the world are moving towards the use of BIM and think that BIM plays a key role in delivery of projects in terms of saving time and costs efficiently.